Heat the olive oil in a pan then add the onion. 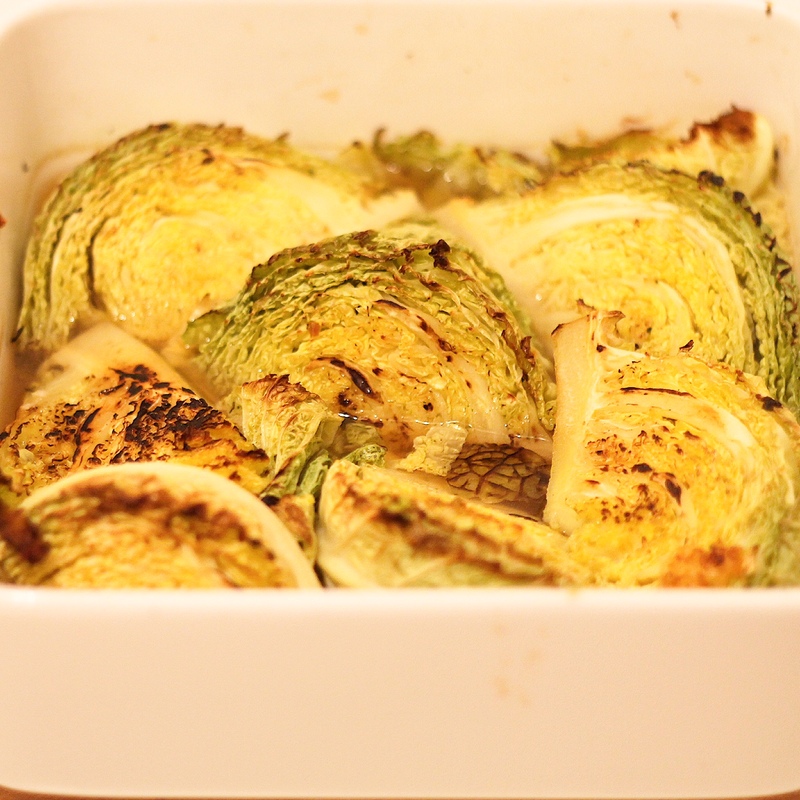 Once it turns transparent, add the garlic and cook for about a minute before adding the cabbage wedges. Let them brown on each side before turning over so you brown all sides just slightly before transferring them to an oven dish. Once in the oven dish, pour the stock over then put in the oven for around 30-45 minutes.